Bengaluru-based last mile logistics startup LetsTransport has raised around ₹90 crores ($12 million) in a funding round from Shanghai-based Fosun International. The firm primarily invests in India, through its venture capital arm Fosun RZ Capital. According to reports, Fosun International is expected to have invested a sum of around ₹37 crores ($5 million) in LetsTransport. Two Japanese investors have also participated in the round if the reports are to be believed. The investment has been confirmed by Tej Kapoor, India head and managing director of Fosun RZ Capital, without divulging the names of two potential incoming investors. Fosun RZ Capital manages of around $1 billion around the globe, it has closed three seed-stage transactions worth around $1 million each. The firm generally makes mid to late-stage public equity investments. Fosun has invested in personal finance venture Perk Finance, Gurugram-based content platform Mylo, and Bengaluru-based human resource management tool Kredit. 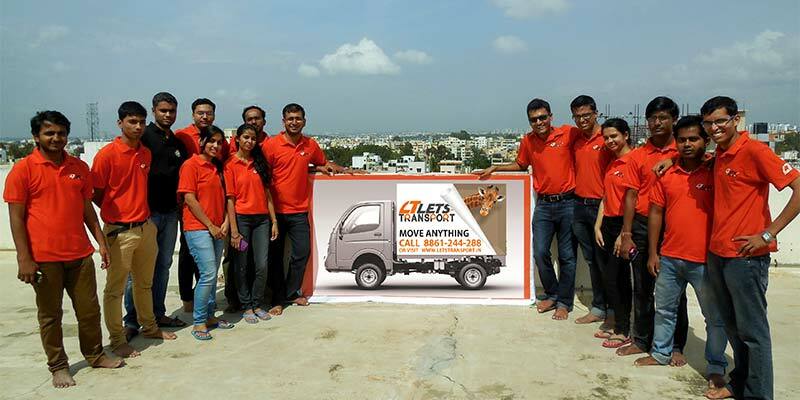 LetsTransport which was founded by some of the IITian’s Pushkar Singh, Sudarshan Ravi, and Ankit Parasher in January 2015. It operates on a B2B and B2C model, catering to both businesses and individuals, providing inter-city trucking solutions for their logistic needs through its platform and an easy to use the app. It caters to various industries like retail, FMCG, and e-commerce, providing features like advance booking, real-time tracking using GPS, and verified drivers, in order to make timely deliveries. The startup is currently operational across Bengaluru, Chennai, and Tiruchirappalli. LetsTransport last raised ₹10 crores in a funding round in December 2017, according to CrunchBase. Other players competing with the Bengaluru-based logistics startup in India include Rovigo, BlackBuck, Shadowfax, Porter, TruckEasy, and GoBOLT, among many others. Earlier this month, BlackBuck raised ₹202 crores from Sequoia Capital, Accel Partners, and Sands Capital Ventures. Another logistics startup ElasticRun raised ₹60 crores from Norwest Venture Partners and Kalaari Capital. Indian logistics sector, which is currently worth $160 billion, is expected to grow at a CAGR of 10.5% to reach $215 billion by 2020, owing to the implementation of GST, and the rising demand due to the booming e-commerce and agriculture in India.